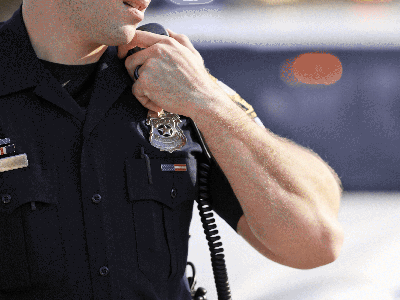 In Connecticut, law enforcement agencies operate under the Department of Emergency Services and Public Protection. The state has nearly 7,000 law enforcement and police officers that are responsible for serving the 3.5 million Connecticut population. If you meet these requirements, you will then need to know about vacancies in your locality. Once a vacancy comes up, submit an application online. If your application gets shortlisted, you will be called to begin the testing process. The written test is designed to determine various qualities that are important in the line of duty as a police officer. The test will be in a multiple-choice format and will describe different situations you might have to face in law enforcement. Once you have passed your written test, you will be asked to appear for an interview in front of a panel that includes at least one Connecticut POST officer. If you manage to clear your test and interview both, you will be fingerprinted and your prints will be cross-checked against all police databases to check for a criminal record. A personal investigation of your background will also be conducted, including an in-depth review of your school performance, driving record, credit history, interpersonal relations and past employment. The timing of each of these will be according to your age and gender. Once your physical abilities have been tested and cleared, a psychological test will be conducted to determine your mental capabilities as a police officer. A licensed physician will be appointed to carry out a thorough physical exam and drug screening. Once you have cleared all the previous steps, you will be asked to attend any of the police training academies in Connecticut such as the one in Meriden, CT. You will spend 22 weeks at this academy, training from 8AM to 6PM, Monday to Friday. The curriculum here will include 17 academic classes that will cover a wide range of topics relating to criminal justice, along with 12 practical skills classes. Cadets can go home on weekends only. After you graduate from this academy, you will spend an additional 400 hours for field training before you get a certification as a Bridgeport Police Officer. Connecticut has two police departments – Bridgeport and New Haven. Bridgeport:The Bridgeport Police Department consists of specialized units including the marine unite, scuba team, emergency services, detective bureau, mounted unit, hostage negotiators and narcotics enforcement. New Haven: The New Haven Police Department (NHPD) has more than 440 sworn officers in its various sectors, including uniform patrol, identification division, investigative services bureau, major crimes division, narcotics division and criminal intelligence. According to O*NET OnLine, the annual median salary in the state is $69,200, which is significantly higher than the countrywide average, $59,680. Let’s take a look at the salary variation within the state. Police officers in the state are compensated well, partially because of the overall higher cost of living, which is around 21% higher than average. In addition to that, the continuous need for public safety is also expected to lead to new openings for police officers in various positions. The demand, however, is going to vary from location to location. A certificate is awarded after the minimum entry level requirements have been met, along with a successful completion of the basic training requirements. The certificate is valid for a period of three years. Employed officers are required to renew their certification by completing a Review Training every three years. For more information on the requirements of becoming a police officer in CT and obtaining of the certification, you may visit the official website of the Department of Emergency Services and Public Protection.